So I’m not saying I’m ageing badly but I did feel a twinge of jealousy to learn Mickey Mouse has hit the grand old age of 86 this year! I don’t know what moisturiser he uses but I want some! Anyway while whipping up a cake ( um…..sending boyfriend out to buy me one from the bakers….) to celebrate this momentous event I decided to participate in an IG art challenge to decorate my nails in a celebration of his birthday! Now behind every man is a great woman so surely behind every mouse is a great wo-mouse and so I decided a tribute to Minnie was in need! 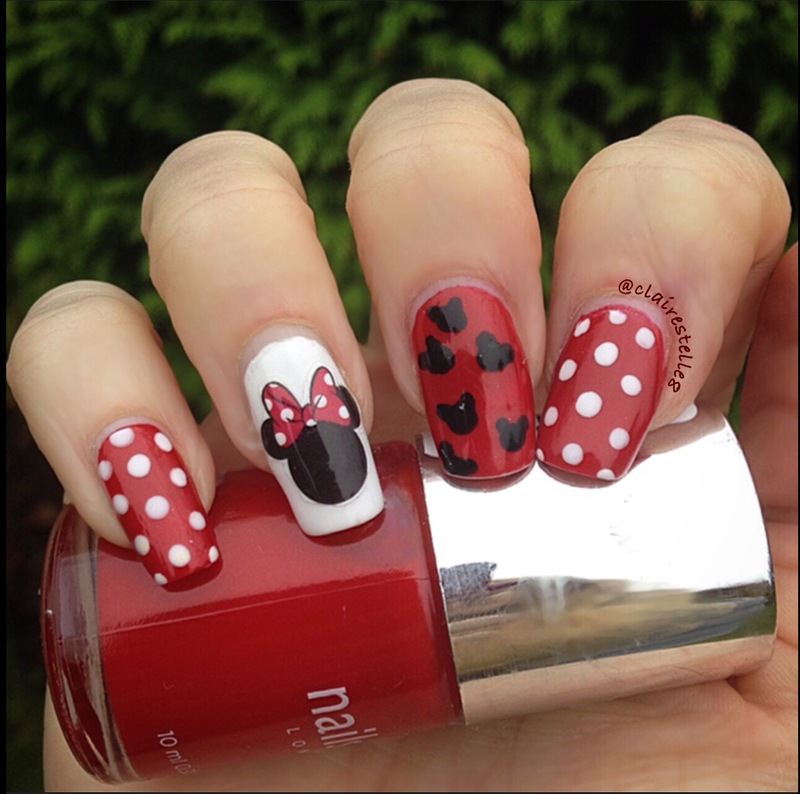 I used Nails Inc King Edward Street as a base as it’s the perfect Disney red. Sadly I think this is a QVC exclusive so what I will do when it runs out….that said I don’t believe I’ve ever got to the end of a bottle of polish so perhaps I should n’t worry too much! I used Barry M white and black for the dotting and with a paintbrush created a decal for Minnie’s head that I then applied to my nail. Now where’s the cake as all that has made me rather hungry! ← Lacquer Lust Pinky Up with a starburst!